I’ve recently found myself using nothing but point devices with no scroll wheel: my Mogo Bluetooth Wireless Mouse, my 3M Renaissance Ergonomic Mouse, my Dell Latitude laptop. One thing is missing: the ability to scroll. That is, until now. History: About 10 years ago, when Steve Jenkins was running Windows95.com shareware site (which become download.com), he would select the best software each year and give it a “WINner Award.” One of the software products that deservedly earned that designation was Pointix Scroll ++, a handy little app that sits in the Windows tray and allows you to scroll by holding and dragging the left (or center) mouse button. Back in those days, the first scroll wheel mouse was just released and Scroll ++ gave “old school mice” the ability to scroll without one. I downloaded it, gave it a try, and purchased it instantly. But soon the scroll wheel became common place in the cheapest mice, Pointix was acquired and disappeared into oblivion, and this piece of software history was all but forgotten. Fast-forward to present day: There are new and innovative pointing devices that just don’t have room for a scroll wheel. Users are frustrated, everyone complains about it, and there is no apparent solution. Unless you remember Pointix Scroll ++. Unfortunately, I couldn’t even activate the version I purchased because the company is long gone. I tried to contact the original copyright holder, but had no luck (it’s just a generic spam-like advertising site now.). Since the US Copyright Office has given approval to share abandoned software, I’m posting for download Pointix Scroll ++ version 2.05 for Windows (including activation) for anyone else who may need it. Below are details on how to install it and activate it. Previous Post: The New King of Bit-Perfect CD Audio Extraction? I’m pretty disappointed in Newton for doing a copy/paste/edit of my post, especially since there is no reference to my source. They did contact me about finding the authors of the software and I told them what I knew. They promised me a new mouse but I never heard back from them. There was no mention of copying this post to their site. I understand the need to do something quickly (post info on your website), but you still must do it the right way. Your writing is yours, and your “copyright” needn’t be registered to be defensible. Perhaps it’s petty, but I’d pursue it. Even if they change the material now, the offense has occurred. I found this blog to be helpful, and the Newton 54mm mouse to be excellent – particularly when enhanced by Pointix. NEW: when activating Pointix, I still get the ‘registration’ notice… ??? I still get the “registration” notice — has anyone solved that? Like pointix, but no bloat (and portable). I remember (I have used pointix for years and now, with Vista X64, I am back at it again) that, on the website of Pointix, it was advised to turn of Smooth Scrolling in Internet Explorer (and I suppose Firefox too, if that would have existed then). Big thanks for this mega programm! I just found your Scroll++. I have a 3M ergonomic mouse and I missed the scroll wheel. The Scroll++ software works exactly as I wanted in Word, Acrobat, Notepad, Help, etc, but doesn’t work in IE 7.0 or Excel 2003 SP2. Do you have any suggestions. David: For Excel and IE, I just use the middle-button-click-and-release method to start the native scrolling in the application. So the single middle click switches into scroll mode, move the mouse up and down to scroll, and then single middle click to exit the scroll mode. It is kinda a pain to remember to scroll 1 way in some programs and a different way in others, but it was at least somewhat workable for me. Good luck! I have Vista and I share with a lot people the problem of having the pcmia bt mogo mouse staying coneected. It goes to sleep almost immediately after pairing. After installing the scroll++ it has stayed connected for at least and hour! woo hoo! Am I dreaming? Will this bliss continue? You deserve a Santa’s respect! Thank you! THANK YOU! I have a Kensington Orbit Trackball and I love it except that I’m unable to scroll. This fixed everything! Amazing. 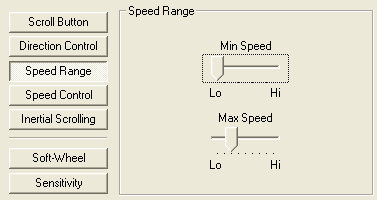 Someone knows how to use de left button to scroll, on this pointix scroll++ software? Antonio: I’m not sure how to configure it though the INI file. But through the on-screen settings, it’s the first image shown above. It’s secondary button or the middle button. 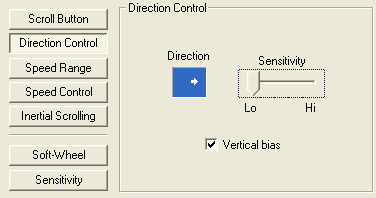 So if you want the left button to scroll, you have to switch the right and left mouse button in the Windows control panel, making left the secondary button and right the primary. This will sound like fiction: I installed the trial version of this utility back in ’97 or thereabouts. I liked it so much that I paid for the full version. Few months into usage, I had to reinstall the OS. I re-installed pointix, but had lost the activation PIN. I emailed the company some 50 times to resend me the PIN, but by that time they were out of business. I have yet to find a competent replacement to this utility. Even with all the bells and whistles on modern mice, this utility rules. Unhindered, I kept the trial version. I would re-install it every 2 weeks (as the trial expires), to get around the PIN problem. SO far, I have re-installed it some 26*13(years)*2(computers) = 676 times (at least). software available again! I installed 2.05 as you suggested, but for what reason you added 3.15? 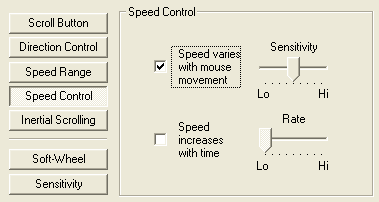 PopMouse (v 3.15) is the other piece of software made by Pointix. I find it no where near as useful as Scroll++ (v2.05), but I included it in case others find it useful. Carlton, thank ypu for that information. Another little question: In your anwser to Antonio you mentioned an ini file. I don’ find any ini for Sroll++ on my system. Thanks again Carlton, found it! This program is abolutely incredible. I’ve have been looking for a propgram like this, since my MouseImp Live (http://www.mouseimp.com/) didn’t work well when I upgrade my PC to WinXP SP3 (it was working great in SP2). I found your program very near from what I miss, like another one called ScrollNavigator (http://www.desksoft.com/ScrollNavigator.htm) as well. BUT non of 3 seems to work with MS Ofice 2003. They can scroll in Word only up and down (vertical); no way in Excel niether PowerPoint. Do you know if this can be fixed? I really loved the way I used to work with MouseImp, even having a scrollwheel mouse. 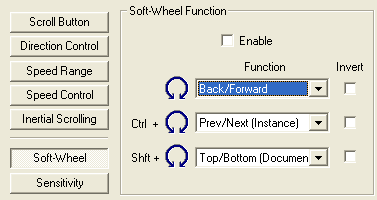 Alex, you can scroll with the middle mouse button inside of Word and Excel 2010 without any third-party software. That is the only solution I know. Can I paste here the link to the soruce, just in case anyone would like to fix and/or update MouseImp so it can run in WinXp SP3? This progran is all I need to upgrade my mogo! Thanks. It also seemed to have fixed the problem of win7 starter on my netbook not recognizing my mogo after first time (collateral benefit???). i have been using this software for past two years without activation. Recently i upgraded to win 7. So i lost this software but i was addicted to use it. Thaks for helping me out it works wonder. Nw all bcoz of you its activated so no more hassle. the PIN and the password doesn’t seem to work. Anyone have any suggestions? It only works in browsers for me. Not in word or excel. Thank you so much Carlton. 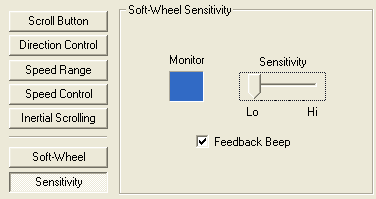 This program helps me a lot in the office coz most mouse here don’t have wheel.. I find it very useful, but the activation exe won’t accept the password. What can I do? All you guys don’t imagine the usefulness of this app in CAD, where it’s function is to zoom in and out wherever you place the cursor. This is currently done with the wheel in jumps, as you can zoom only to the extent the finger can turn the wheel. And the wheel gets ruined very often. It’s a delight to just press he button and get to the required zoom at fantastic speed. So, I repeat: password or pin are not working. I would buy this app right away if I could. Thanks for any help and thanks for the app. Hi. thank you so much for sharing!! I built a mouse-glove and there simply is no chance to make a mouse wheel work with this system. the problem…. I have to work with photophop quite a lot…. finally you solved my problem!! thank you so much (again)!! Have had my Mogo mouse working before, but it stopped. Reloaded software from this site, but not taking PIN or password for the required (?) registration code. The request code I have is 6000 3150 0901 2839. @Ralanein – Install the software entering your name and a company name. Then run the activation file entering the same info (name and company name). This should install the activation in the registry and you shouldn’t have to worry about the PIN or password. Try that approach before messing with the PIN/password. Hello. The program cannot be installed on Windows 7 64-bit operation system. The installation process stops working in the middle. It says there was an unknown error. Totally incorrect – Scroll++ works fine on 32 and 64-bit Windows 7 systems. This page has been hugely helpful. As far as comparable software, this guy already tried them for us: http://www.sevenforums.com/software/116668-mouse-scrolling-program.html. There’s also a suggested AutoHotKey script that can do the trick. I also found one on CNET that is a Chrome extension: http://download.cnet.com/Scrollbar-Anywhere/3000-2378_4-75312769.html. Looks like it’s also available for FireFox. https://addons.mozilla.org/en-us/firefox/addon/ScrollbarAnywhere/. Hope this helps you back! I could install just fine on Win7x64, but activation quits after entering name and company. “I could install just fine on Win7x64, but activation quits after entering name and company. PopMouse simply does not work on Window7 64-bit. I can get through the installation, but when it comes time to select the “Edit Tables…” menu when you right-click the tray icon, it does nothing. I’ve tried everything. It worked fine on my WinXP SP3 32-bit. How do you get this to run on Win7 64? Mo Scroll links for executables seem to have died – if anyone has a version, please host and post. In the meantime, I’m using an AutoHotKey script from here http://www.autohotkey.com/board/topic/55289-dragtoscroll-universal-drag-flingflick-scrolling/ which replicates some of the same behavior. 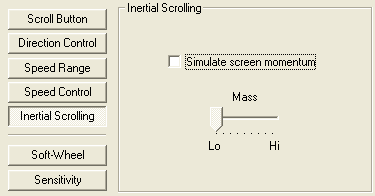 By default the script is inverted (pull down on mouse scrolls page up) but you can flip this in the options. The “edge” case doesn’t invert though, so I had to tweak the code to swap a 1 and -1 value for the edge scrolling to get that to work properly. Time will tell if this is a valid alternative for me – I still use Pointix but about half the time it doesn’t load properly on boot so I’m looking for something that works every time. Thank you Carlton, you are a legend among men.